Time to say good bye to a train without plot (no wonder why there was no living person riding it!! LOL, sorry, I’m snarky) but a fascinating background. Sigh. So much potential, Show! 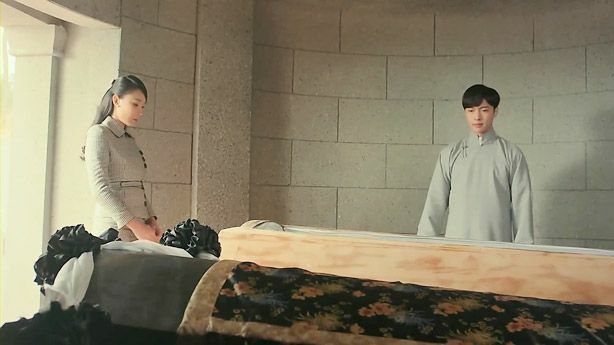 Xin Yue’s cousin comes by with good intention to tell Er Ye to live a happier life because he’s spending most of his days around coffins. He says she’s thinking too much, he’s merely preparing a coffin for himself. Right, that’s way better! Lol. It’s purposely constructed to be higher than Ya Tou’s so that she could lay her head on his shoulders when they reunite in Hell. BAH. How about we just bury you with your wife in the same coffin? Save space and land for other people? Mr. Qiu and his man visit the Halloween tree and the former starts digging for a medallion. He finds a golden piece of map. The narrator then tells us that Mr. Qiu disappears from that moment on, removing him effortlessly out of our meandering plot. What was his purpose again? Anyway, the narrator continues to tell us that war is imminent with the Japanese troops focusing their army to attack Changsha. 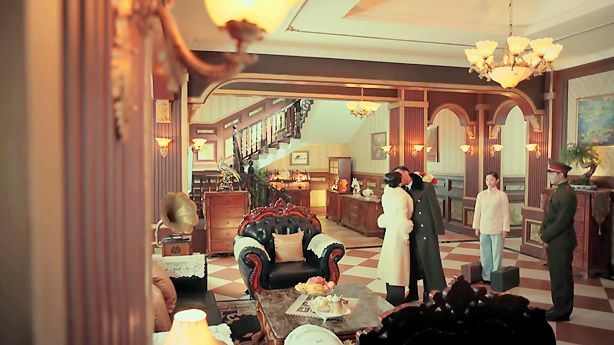 We see Fuo Ye holding Xin Yue’s hand as they walk to the living room to bid goodbye. 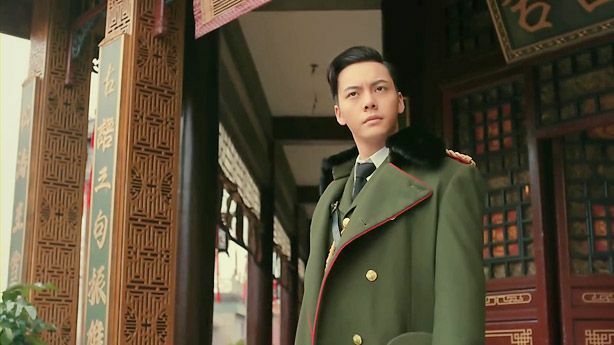 Xin Yue puts his giant coat over him and hurries him along, reminding him not to let everyone wait. He stares deep and hard and long into her tiny face and tells her that after his meeting with Er Ye, he will immediately go to the bases and prepare for battle. Fuo Ye keeps moving his eyes down to her juicy lips. Lol. He gives in because being stubborn is her specialty (and also being awesome. ;D). Fuo Ye, “After the war, I will personally come get you.” She smiles up at him, waiting for that day to come. Me and you and many others, Xin Yue! They smile at each other and he tells her to sent him a telegraph once she reaches Bei Ping safely. He then turns to their trusted servant, Xiao Kui and says, “When I’m not around, take good care of your madam.” Those caring words burn a hold in our sassy Xin Yue and her head hangs low…She bites down on her lips to prevent them from falling to no use. 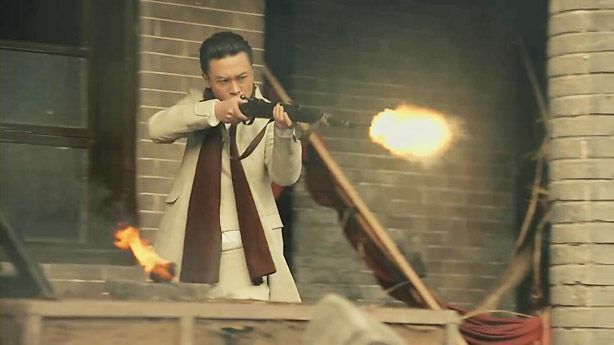 When Fuo Ye turns back to his pretty wife, her glistening eyes stare up at him and the faucet breaks, letting two streams of tears down her cheeks. He reaches up to wipe them away and she grabs a hold of his gloved hand and lets out a tiny yelps of pain. Awww, my precious. Li Ying is very good in this scene, her smooth transition from subdued quietness to small cries of pain is beautifully acted. Fuo Ye plasters on a disgruntled smile for her sake and she also does the same. But this won’t do. So he pulls her in for a searing kiss, viewers and all eyes be melting at their intense smooching. AHHHH. This might tide me over until the next time they collaborate…. I think. Unless another actor top ChanYing chemistry. He ends the hot kiss with a gentle one on her forehead and walks right up to the door, sloooooowly putting on his hat and standing at the entrance for a good pregnant pause before stepping out. Xiao Kui asks if they are really not going back to Bei Ping (WHAT?? ), Xin Yue with her fingers still lingering on her lips, says that she won’t leave. If he wins, she wants to be here to congratulate him, but if he loses, it’s meaningless for her to return to Bei Ping. 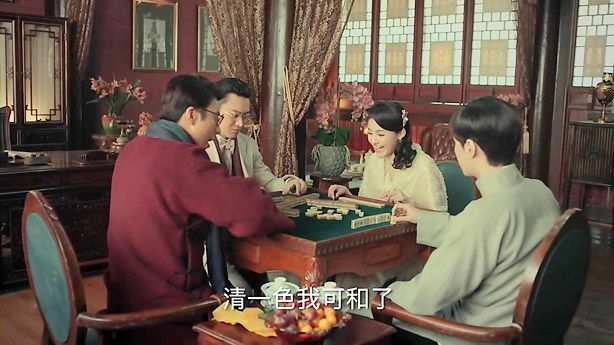 Er Ye, Ba Ye, Jiu Ye, and Madam Huo are busy playing… mahjong? Ba Ye, of course, laments about his lack of luck today. When he asks to change seat, no one replies. He runs up to Fuo Ye like a puppy to complain about the other three bullying him, not leaving him with any traveling expenses at all. 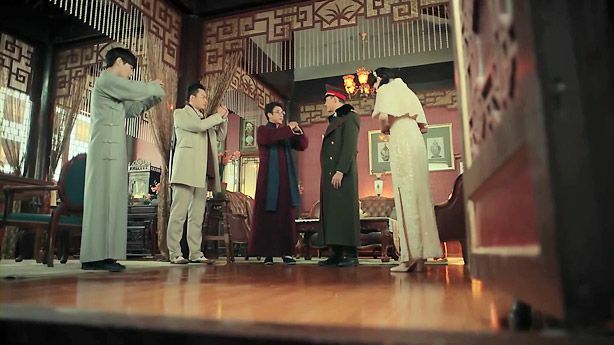 So they are gathered here to tell Fuo Ye their plans of escaping Changsha for the time being. Are you kidding me here?! You guys are the Mighty Mystic Nine! Not the Mighty Mystic flight!! 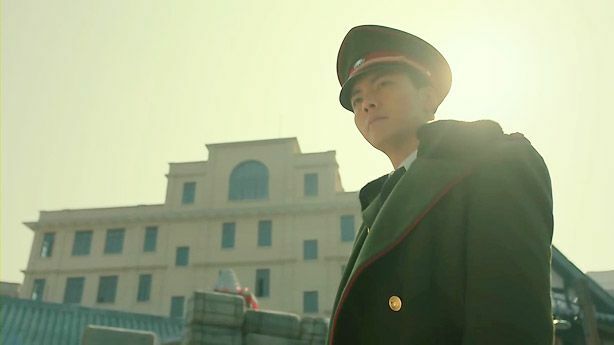 As for Fuo Ye, it’s his duty to protect this land and kindly reminds them that he still has a wife – Yin Xin Xue. 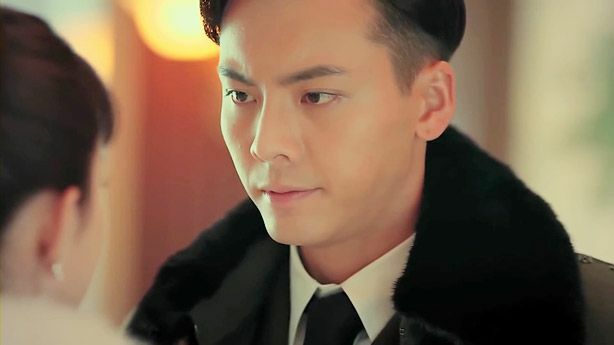 Jiu Ye understands and promises to relay the words to the underlings of the Mystic Nine: they won’t ever cause trouble to Xin Yue Hotel. Not like you guys could anyway, that girl is filthy rich! Time to leave! But no, Fuo Ye asks for a private moment to brood on the streets of Changsha. 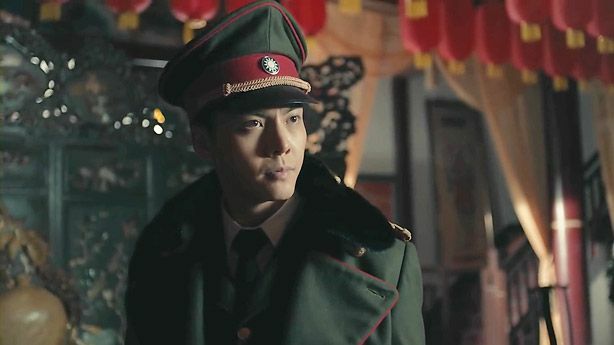 Because beside not having that much of a story, the story is really about how handsome and dashing William looks in uniform. =D Aww, he recalls meeting each of the nine family. War closes in and Japanese bomb planes attack relentlessly overhead. 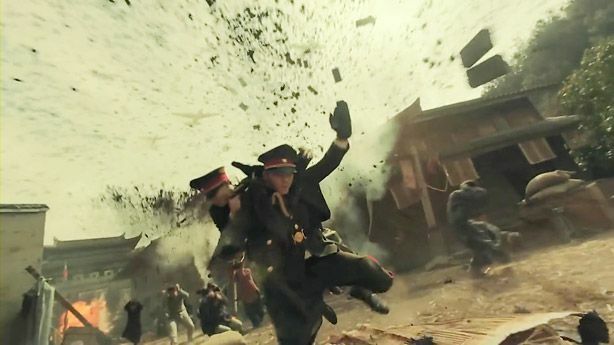 Deaths, destruction, and chaos descend near their station and Fuo Ye rushes back in the frightened mob to help a fallen woman, putting him in direct path of a falling bomb. Fortunately, he has Fu Guan watching his back! Please don’t die Fu Guan!! 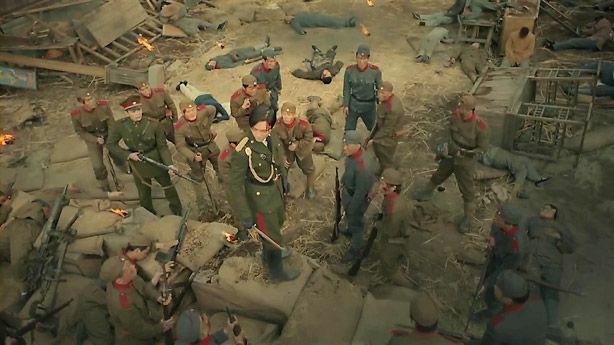 Oh crap, the Japanese troops have finally entered the entrance to Changsha! 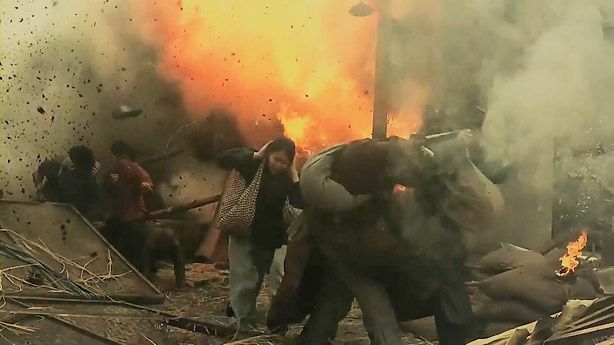 Fuo Ye takes a risk to detonate their shooting tanks and I finally get my series-long question answered. 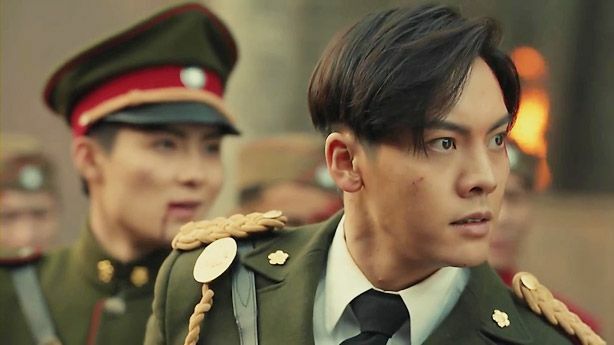 What does it take to ruin Fuo Ye’s perfect hair? A bomb! The force knocks him over from behind but blood trickles down his forehead instead. HAHAH. Because blood in the back of the head doesn’t look as impressive! Get it together girls! His men gather around him, momentarily relieved, only to hear footsteps of even MORE enemies crashing through the fort. Fuo Ye takes a knife (really? a knife?!! against shooting guns?) and jumps up on their mini barrier to make his grand speech. AHA! It’s the reunion of The Mystic Nine leaders! OMG! I’m so glad you guys came. The title of the drama is named after you guys for a reason! YAY! 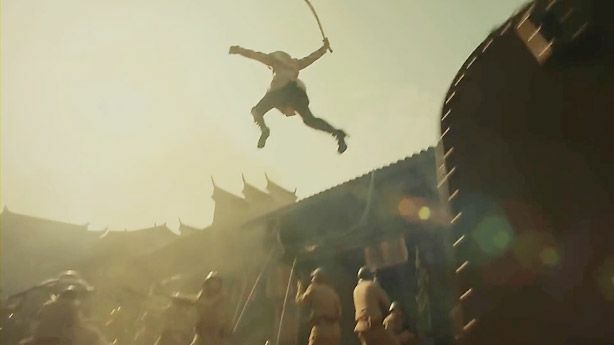 Even Madam Huo takes a sword and stabs the enemies like a badass (IN HER HEELS, YA’LL). Someone give her (and Fuo Ye) a more useful weapon. Lol. I’m feeling the camaraderie so hard here! WEEE. A little late but gotta eat it up. 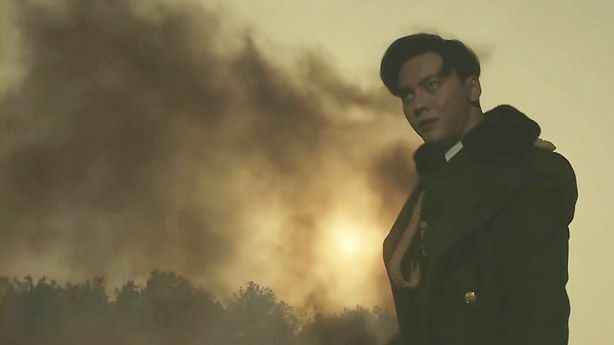 The chicken of the group aka Ba Ye runs up to Fuo Ye, “We are all brothers of The Mystic Nine, how could we let you die in battle alone?” Aww. He’s smart, he has a hand gun. hehe. And I think Er Ye has something sharp attached to his arm. Is that Wolverine claws? First time, I did a same-day recap! Woohoo! 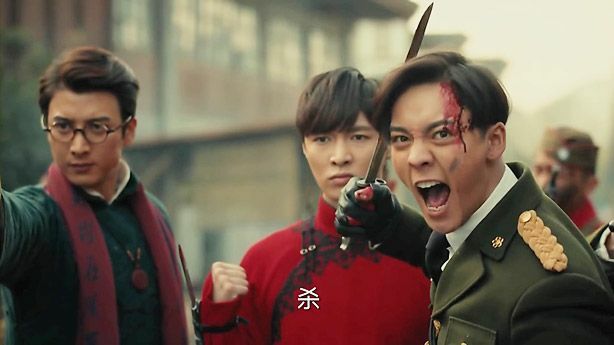 This entry was posted in Discussion Posts, Recaps & Other Thoughts and tagged Cdrama, Crystal Yuan Bing Yan, Finale, Lay Zhang Yi Xing, The Mystic Nine (Old Nine Gates), William Chan, Yang Zi Jiang, Ying Hao Ming, Zanilia Zhao Li Ying, Zhang Ming En by Kappy. Bookmark the permalink. I actually really liked the drama. I think the problem was in the editing room. They cut too many parts important to the plot while giving us unnecessary screen time for the bad guys. Even if the plot wasnt that cohesive at times, it had an addicting factor that kept me coming for more. I actually liked when they were in the tomb. What I didn’t like was all the focus the bad guys got for a few episodes. It was unnecessary and it didn’t move the plot along. For me the best part of the drama was the chemistry between the leads. It is hard not to love XY and FY. I am putting them down as one of my favorite OTPs of all time. As for character development, I think FY had some character development. He is really different after meeting XY and his mannerisms change around her. The bad guys were really uninteresting and I didn’t care at all about them. I wish we had seen more of the other gates. I agree that ZLY did a great job on that scene. That one and the proposal scene were amazing. I could really feel her emotions and connect with her character. I also have to compliment WC on this role. After LofZ, I didn’t have much hope for his acting but this role was written for him. He should keep taking roles similar to FY. I don’t think anyone would complain. Now they need to collaborate on a modern drama and they should win best couple at iQIYI awards. I think Fuo Ye and basically everyone in the story is pretty static. Delevelopment has to be consistent across the board to be considered development. Fuo Ye is a guy who knows when to relax and when to be serious. 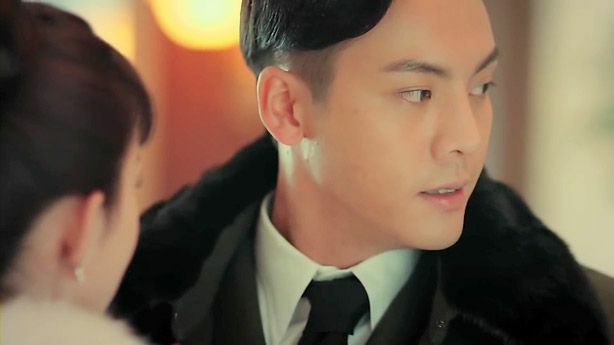 With Xin Yue, hes more reacting and adapting to her attitude because he couldnt do anything else. Lol. I don’t even want to call them bad guys when they were pretty non-threatening and one-dimensional. Lol. Me too, the focus should’ve been the brotherhood scenes among the The Mystic Nine before the weak villains. It would be nice to see them in a modern series but I love Li Ying in ancient series… a lot… 🙁 hehe. Yeh…another drama where nothing is worth watching…beside ZLY lol, hopefully she don’t get blasted cause it’s not like she directed all those dramas. After so many collaborations, I bet ZLY and WC will not let down any shippers, very likely feeling they’ll end up like Ruby and Wallace who eventually came together at the very end but just not now. Lets wait to see how long it takes to prove this wishful thinking wrong heh-heh. I watched this drama entirely for ZLY. I have no interest in the plot, exploring tombs is boring to me lol. 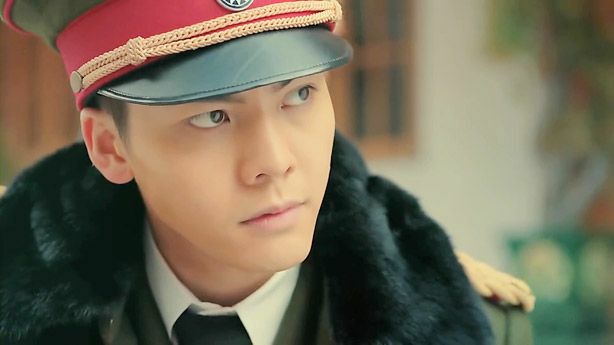 I’m more into Fantasy, I’m loving Bi Yao! Even if the OTP in that is not strong, I just love stories with good writing. With legit plots. 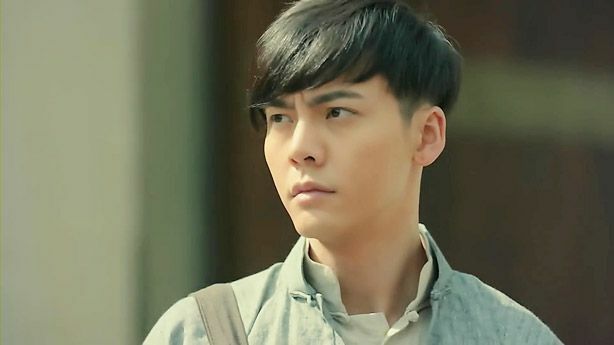 I’m glad William did this drama to showcase his acting skills, lol Legend of Zu was such a fail, glad he redeemed himself with Li Ying here. HAHA. You know, Li Ying strikes me as a go-get-it girl. She’s pretty proactive instead of the quietly waiting type. The kind I like! Horrible plot. FY and XY’s chemistry was the only saving grace. Yes. I’m down for another TingYing collaboration. Hopefully a romantic one. Yes, I want it to be angst-free! They have a lifetime of angst in Zu already. Your comment about Er Ye made me laugh. Can’t blame you for being snarky, he deserves it. I haven’t followed this drama closely, but he’s still at square one where I left him. I still feel sad every time I think about how this drama went so wrong. So much potential, and they wasted it. The only saving grace is William and Li Ying’s chemistry, and the bromance. How are the ratings and reviews? I’m curious about what the Chinese viewers think about this show. Lol. I haven’t been following netizens reactions but after every episode, fans would just find their little ray of lights (aka Xin Yue X Fuo Ye screencaps) on Weibo. I think most like the characters more than the story itself. So. Much. Wasted. Potentials. 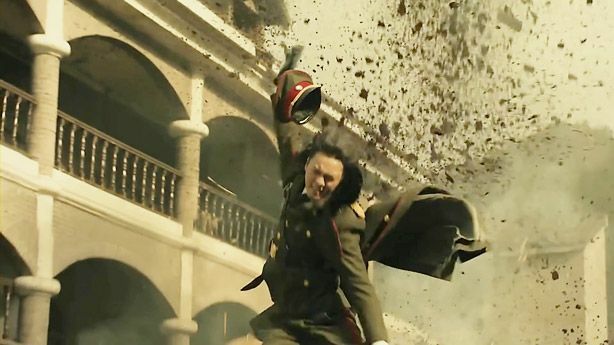 Ratings-wise, it’s steady, nothing explosive like the likes of Hua Qian Gu. Episodes 9-14 ratings were higher than usual. LOL. For obvious reasons. I think it ended at around 18 billion views for online viewing – pretty good I think but nowhere near JoF. Not sure how O2O fared in comparison because I didn’t watch that. Actually, I thought the concept of Ya Tou being a hallucination of EY was pretty cool – he missed her so much that he imagined a whole life with her (although the scenes kept repeating in different variations) with a different ending i.e. Growing old and dying together. love o2o in 15 days (30 episodes) got 10 billion online views. when we compared to how many more episodes mystic nine has and how long it has been airing, love020 will surpass it if given the same amount of time. i couldn’t get past the lost tomb OR mystic nine. LOL. i only speed-skim for OTP scenes and sometimes bromance only. i guess these shows are not for me… but the people i like. sigh! I laughed at your comment about 二爷!!! I was so tired of him going on and on about YaTou throughout the drama. 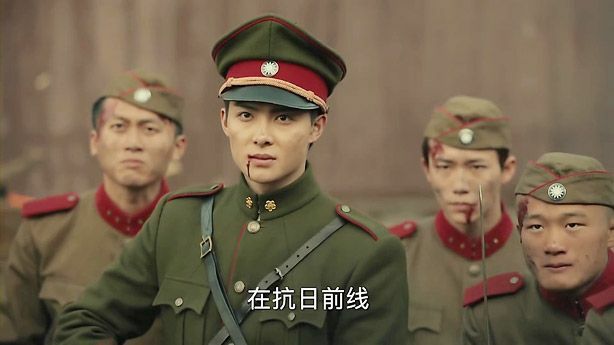 I haven’t read the 老九门番外 so I don’t know what 二爷 is actually like, but the 二爷 in this drama really disappointed me. He isn’t as strong as I thought he would be, on the contrary, he seems rather weak among the Nine Gates. 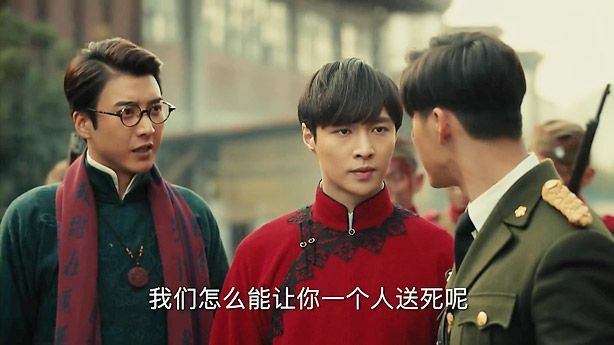 Maybe it was how the scriptwriter wrote him out to be or maybe it was YiXing’s lack of acting experience to fully release the charm of the character. All in all the aura is just missing. 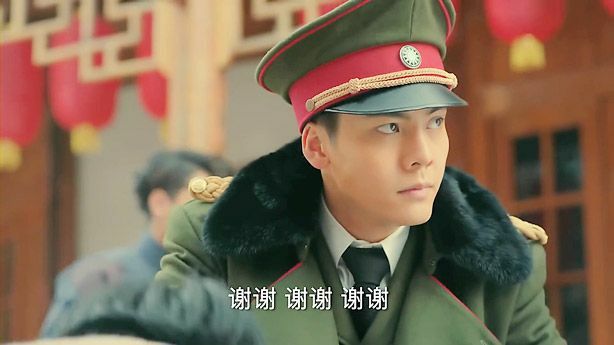 The saving grace for this drama, for me, would be 启月夫妇, 八爷 and 副官. The chemistry among these characters was awesome! 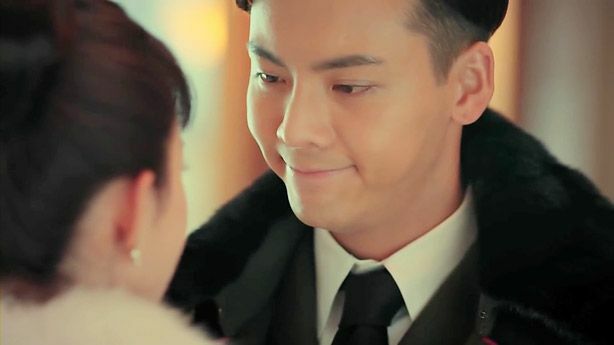 What kept me watching on throughout the drama was FoYe and XinYue, they are just too cute! I need more of their scenes sobs! I think they overdid Ya Tou’s ghost scenes. It would’ve been more poignant to let her character live a little longer (creating connections & building friendships) than have her come back in dreams/hallucinations again and again because now that she’s dead, she’s pretty irrelevant to the plot and therefore excessive screen time = limited other characters’ screen time. 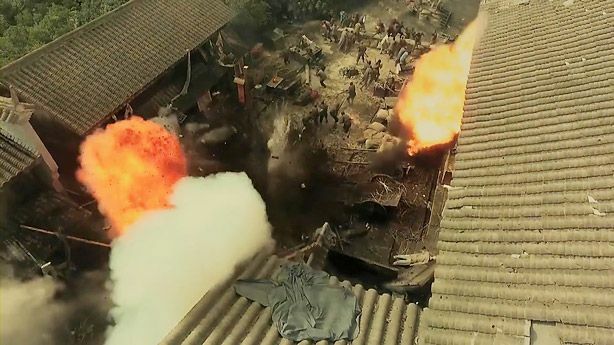 A bad move in a drama with a crawling plot as it is. I have never seen a ghost with so many scenes and she even got to age as a ghost too! LOL. I think I’ll just watch a Liying x William cut. Seems like nothing else here is worth watching? Adventure / tomb raiding stories are great! 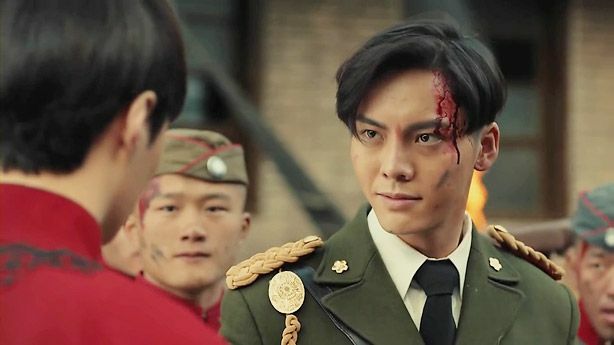 I sat through The Lost Tomb just fine, but Mystic Nine couldn’t pull me in at all. And I’m probably in the minority when it comes to FoYe being cool in his uniform–he’s definitely good-looking in it but I got sick of all the scenes where he’s showing off and the themesong starts playing. Lol. In any case, I’ll just watch the FY/XY cut. Not really interested in the rest of the characters either. Same thoughts, LOL. When Fouye is all suave and that damn theme song plays, I’m like *roll eyes* all right, all right, I get it. The first few times were pretty cool, but after 20 episodes? Next please! Thats it for white mans story??? Disappeared off the screen?? I swear the writers have no guts to kill anyone hence the non threatening storyline throughout the whole course. 48 episodes is a long commitment. I want my hours back!! 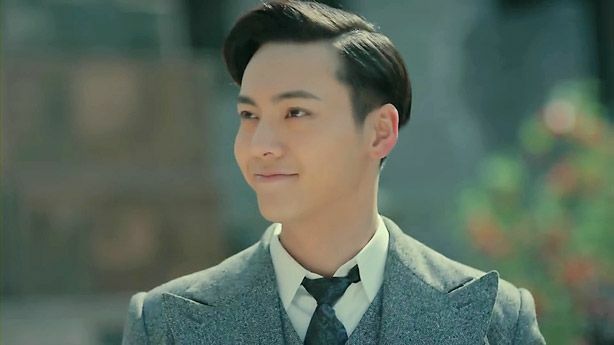 Despite william anf li ying having great chemistry, I feel like their story was minimized so much that I didnt see the courtship from Fuo Ye side. So their story is not as satisfying as I had hoped because a huge chunk is missing. ? The tomb scenes are useless because they didnt solve anything and were merely discovering. Er Ye was also quite boring too. Sigh. Ya Tou should have lived longer. That was exactly how I felt too!!! The love Fo Ye has for XinYue felt sudden to me! 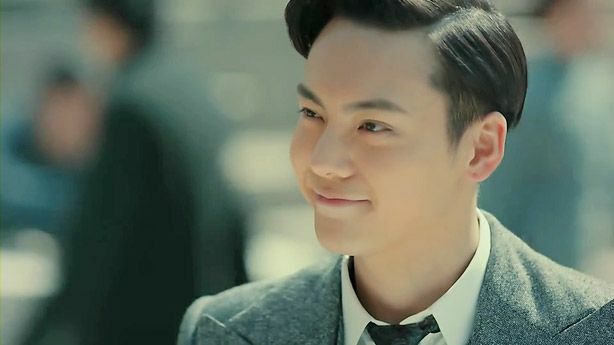 Like when did he even really fall in love with XinYue??? But anything with William and ZLY is love! Their on screen couple chemistry is over the top!!! GAH. It kills me inside to admit that part, but yes, that courtship chunk was missing. If not for the strong chemistry, they wouldn’t be able to pull it off. 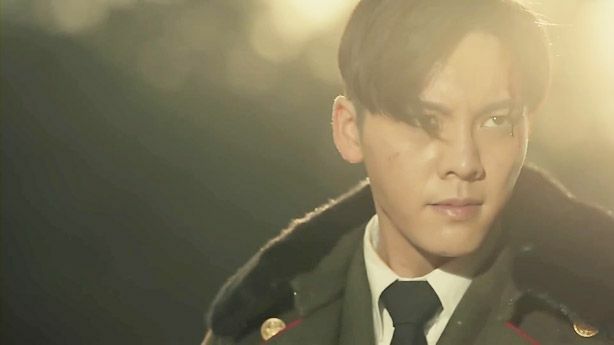 Xiaoge was never intended for the drama, but it would be cool to see a Xiaoge before Wuxie’s time. Tbh, other than amplifying William’s charms, this drama is basically meh. I was pretty excited the first few episodes but right where I stopped at Ep 20+, the part where they came out of the tomb, discovering and explaining nothing, I was angry as a Daomu novel fan, lol. Looks like it’s right to place my time on Weiwei instead. Lol. So honest, Tusu. It’s ok to be angry. You’re not alone! I think dramas and movies about digging tombs in Cdramaland haven’t lived up to expectations yet. I am sad this drama ended, no more Fo Ye and Xin Yue. There was too many pointless scenes in this drama, could have cut out all the useless scenes for the bad guys and given us more OTP. Still can’t believe I actually bought a year of IQiyi subscription for this. l’m watching it just for ZLY~ Nothing else. 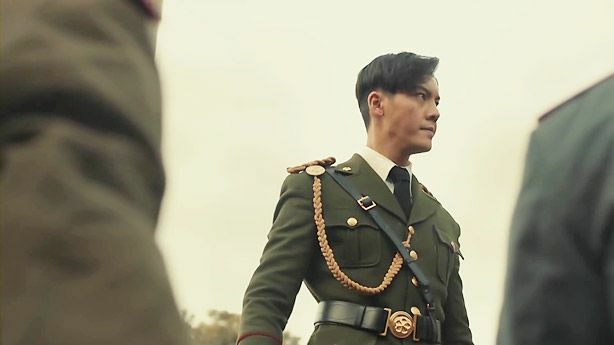 But that Fu Guan and Chen Pi are so hot~~~ Fu Guan and Shen Jia Yan (Lu Zhen) are like my type, the ones who protect with their lives! Liying is seriously always done great job with her characters! The train wreck and zero emotion in Zu has been redeemed with awesome chemistry from William. You should’ve done that before, William! Yeah l need another collab from Liying and William, a more romantic. Doesn’t matter if it’s wuxia or modern. Just like she did with Zhang Han, their chemistry is always great and cute. * For those still watching , better stop it , look for others like 麻雀 , much much better than this one . I have seen episodes of the Nanpeisanshu cut and it does redeem parts of the TV series eg Ep 34 shows How Foye woke up from his comatose state by putting back the cut scenes. There are also less villain scenes – which makes it less boring. Cool! @angelun may I ask where did you watch this version ? I loved the Fo Ye/Yin couple, but the Er Ye/Ya couple was boring. 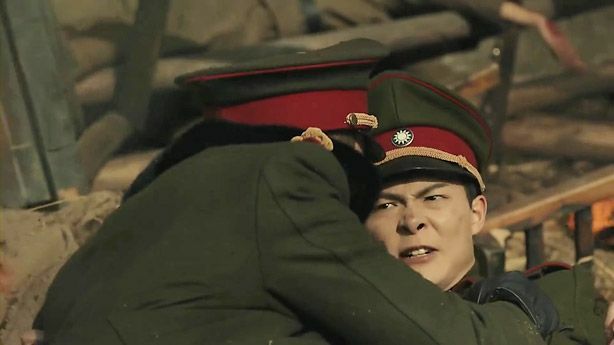 My most favorite character was Lt Zhang, with his impressive skills and strength. He and Ba Ye were the best bromance couple. Were the other five Gates on vacation during 80% of the drama? I was irritated with the villains, 99% of the time. 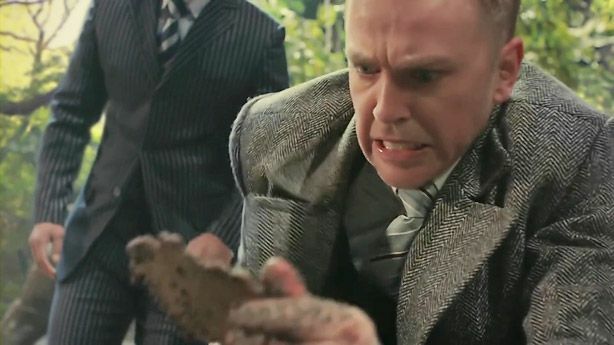 I realize that this drama is the story of grave diggers/tomb raiders/cave adventurers, but there was a glut of numbing tomb filler, which could signify that the shooting script was thin. The editor applied the chop/slice/dice/mix/jumble techniques, when putting the episodes together. The few deleted scenes that I saw, should have remained intact, because they added more value than the replacement scenes. The sinister forces within the tombs/caves/mines, besides the killer hair, remained out of sight, so we are left guessing what Fo Ye and Er Ye suppressed from the outside world.